Spaniard Carlos Sainz will drive for McLaren in next season's Formula One championship, filling the vacuum left by the retirement of Fernando Alonso, the team announced on Thursday. The 23-year-old -- son of the legendary Rally driver who bears the same name -- has signed a "multi-year deal" with McLaren. He is presently 11th in the championship this year driving for Renault. "McLaren Racing today confirms that Carlos Sainz will race for the team in Formula 1 from the 2019 FIA Formula One World Championship," said a statement on team's website. "Carlos, 23, from Madrid, Spain, has signed a multi-year deal with the team, replacing Fernando Alonso." Sainz, who in almost four years on the circuit has yet to feature on the podium, said he had been eyeing a seat at McLaren for a while. "I'm delighted to finally be able to confirm that I'll be a McLaren driver from the 2019 season," said Sainz, whose best finish was fourth in the 2017 Singapore Grand Prix for previous team Toro Rosso. "It's something I've been looking at for a while and I'm very excited about this next chapter in my career. "I've been a McLaren fan for as long as I can remember. It's a great name in the sport with an incredible heritage, and the list of drivers that have raced for McLaren over the years are among the heroes of Formula 1." Sainz, whose best overall finish in the championship is ninth in the 2017 season with 54 points, said it is special to be following in the footsteps of his 37-year-old compatriot and two-time world champion Alonso. 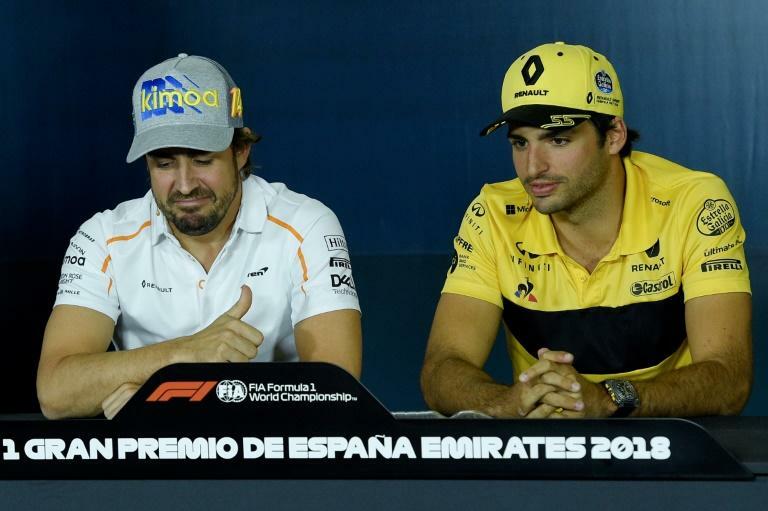 "Fernando is of course one of them (heroes), so it's particularly special that I'll be taking his seat as part of the next generation of Spanish racing drivers behind the wheel of a McLaren," said Sainz. Zak Brown, CEO of McLaren Racing, said the team had been looking at Sainz as a potential recruit for some time. "Carlos brings with him the perfect blend of youth and experience," said Brown. "Although he's just 23, he'll be starting his fifth season in the sport with us and will bring with him a huge amount of racing experience, both in Formula 1 and with our partner Renault. "It's no secret that Carlos is a huge admirer of Fernando's, and it's fitting that he will be stepping into his seat as a Spaniard with a legendary name in motorsport." Alonso announced he would be retiring from Formula One on Tuesday once the chequered flag has come down on the final race of this season. He had become increasingly disenchanted with the once dominant McLaren's failure to rediscover their competitiveness. Whilst he left the door slightly ajar about a return his focus is on new challenges largely thought to be the Indy Car circuit in the United States. He is hoping to add Indy success, especially the Indy 500, to his Formula One achievements as well as the Le Mans 24 hour title he won earlier this year.